Caillou Gets grounded the game and virtual hogwarts and also Lion Academy, which are all RPGs and I really don't know why I decided to make 3 RPGs at the same time. Elmo Gets Grounded Season 3 Is Almost Here! 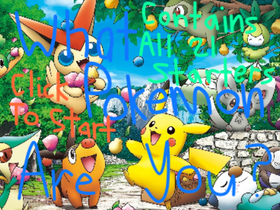 Pokemon Games, animations, and stories.